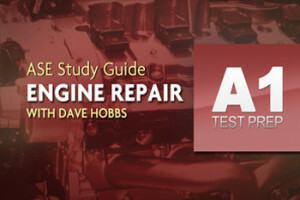 The ASE A3 Certification Test covers what you need to know about Manual Drivetrains and Axles. 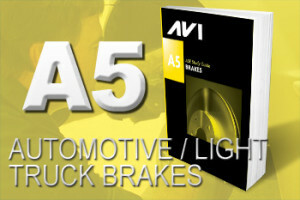 This class has unique cut-outs of transmission parts for hands-on training and explores the basic fundamentals of the transmission. 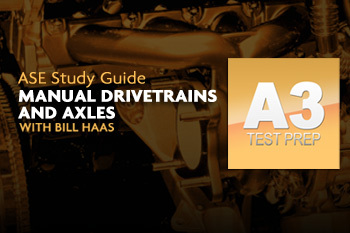 The ASE program includes a booklet with comprehensive glos­ sary, including all manual drivetrain & axle-related terms used in the study guide with dozens of useful illustrations. Note: The A3 Test Prep Study Guide is NOT downloadable and may only be viewed online.